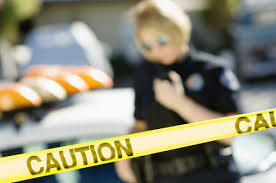 Talking Murder Scene Procedure, Clean-up, and Stigmatized Property on After Hours AM/The Criminal Code A violent crime took place in your house - now what do you do? On a macabre yet practical episode of After Hours AM/The Criminal Code — True Crime Wednesdays 9-11pE with hosts Joel Sturgis, Eric Olsen, and Dr. Clarissa Cole — we delve into the mess left behind at violent crime scenes including police procedure, the clean-up, and stigmatized properties. We talk the practicalities of homicide at 10pE; at 9pE Joel and Eric review the latest True Crime headlines. The police secure the crime scene as soon as they arrive. 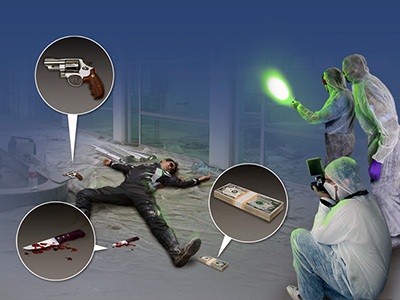 If you were present when the homicide was committed, you will be detained for questioning. After questioning is complete, you will not be allowed back into your home until all the forensic evidence has been collected, because it’s a — everyone sing along — crime scene. This can take from hours to weeks. During this period you’ll have to find other accommodations and perhaps clothing and essentials if you’re not allowed to enter the dwelling to collect your belongings. Clean-up and alternate living arrangements are typically the burden of the homeowner/residents. In Florida, where this example case took place, and in many other states, the Attorney General’s office has a Division of Victim Services that provides financial assistance and other support for victims of violent crimes. If you end up using your own funds for lodging and essentials, keep your receipts in case your home owners’ or renters’ insurance policy covers such a loss and can reimburse you. When you are allowed back in your home, you will likely find debris and destruction left behind. If EMS reported to the scene, they often leave their used gloves, medical packaging and wrappers at the scene: this is actually a legal requirement in most jurisdictions. The police will probably have removed their A-frame marking tents, but you might find adhesive tape markers left behind, fingerprint powder coating surfaces, multicolored forensic chemicals sprayed hither and yon, and large chunks of carpeting torn up and removed. Responsibility for restoring the dwelling to a livable status falls upon the homeowner or landlord. There may be blood and other bits and pieces of human remains that need to be thoroughly removed, and, if you’re thinking of doing the removing yourself, don’t. Most states have laws regarding the disposal of bio-hazardous material, which will likely include any of the remnants of the crime scene. However, there are licensed companies that specialize in this type of clean-up, and often your insurance will help to defray the cost. Regarding the property itself, any dwelling that has had a murder or suicide occur within it is labeled a stigmatized property. Whether this will have any effect on its resale value depends on the notoriety of the crime and disclosure requirements in your area. 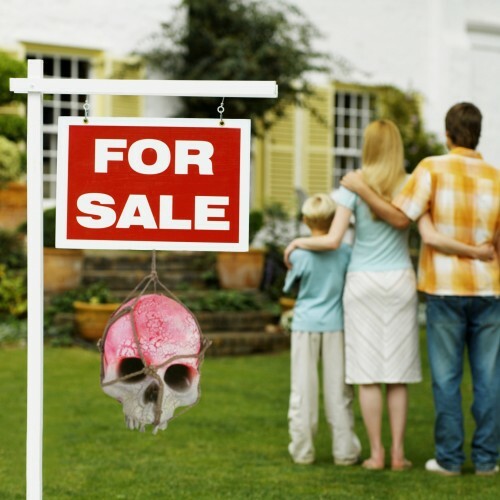 Some states require full disclosure of violent deaths or even suspected haunting when a residence is listed for sale, while others require the truth be revealed only if a potential buyer specifically asks about any such past events. California only requires that the deaths be disclosed if they took place within the last three years. Some realtors who specialize in properties with questionable histories recommend that the seller be honest from the beginning, to avoid any possible legal action if, say, the neighbors blab or something untoward turns up in the yard. According to consumer comparison website finder.com, the U.S. housing market loses $2.3 billion annually because of homicides. On the other side of the coin, if you’re a bargain hunter and don’t mind the dark history associated with a stigmatized property, you may be able to find a real deal. Or you could just stay put. Owners of properties that were sites of highly publicized crimes often take steps to alter the appearance of the building: new paint, landscaping, even a new house number after petitioning for an official address change. 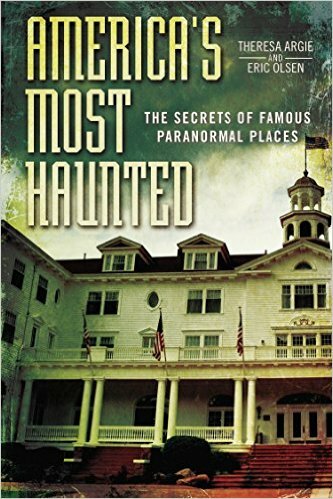 This is to discourage “murder house” enthusiasts or even organized tours that seek out such places.